I’m not usually one for instant coffee. In fact i pretty much hate the stuff. But damn if it isn’t portable and pretty indestructible. Now how cool is this idea? 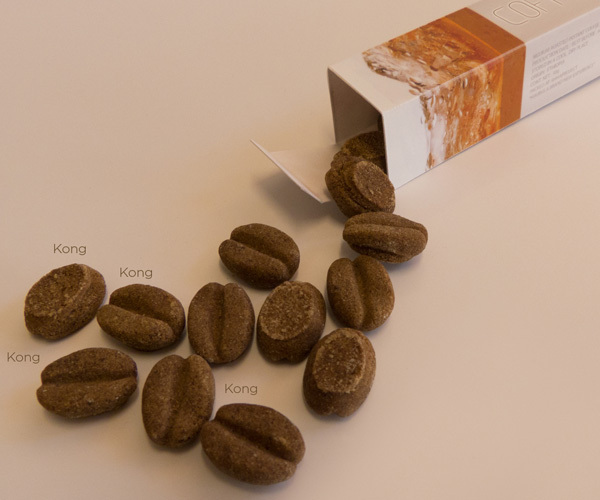 Coffee Kong is compressed instant coffee, coated with a thin sugar covering to keep in the smell and taste. And its all in the shape of coffee beans, which is funny, because you know that’s how they started out. All you need to do is remember how many of the little guys you used and there you go the perfect on the go coffee measurement. No more spoons, just hot water and Kongs! This just seems cool. I’d love to give this a go when it actually gets made! 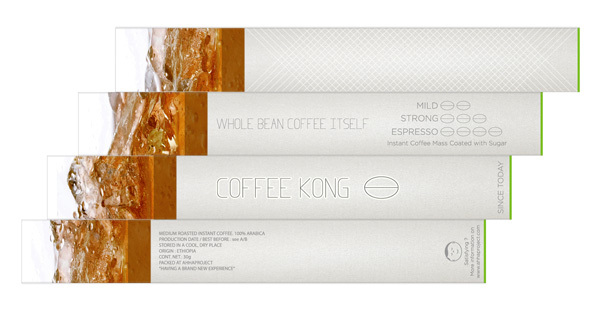 Ahhaproduct – Coffee Kong Instant Coffee by Ahhaproject » Yanko Design.